Auction Centre staff discovered a World War One German stick grenade in part of a military collection consigned to auction this week. Specialist military consultant Mike Smith examined the weapon and immediately contacted the authorities to make them aware of his concerns. 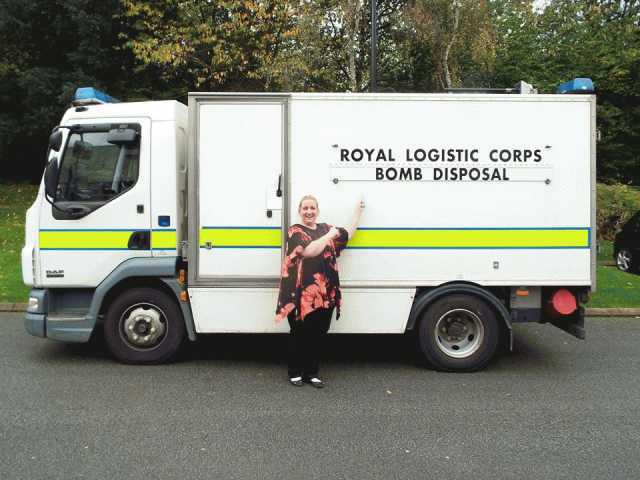 Cheshire Police accompanied specialist military personnel to the Runcorn saleroom and their findings prompted them to call in the Bomb Disposal unit from Chester. The grenade was considered to be a probable threat to the public and was removed to a secure location several miles away in order to conduct a controlled explosion.